Of late, where ever you go, there is only topic and that is how Baahubali 2 is going to be. Directed by the genius Rajamouli, the magnum opus has released in over 8000 screens all over today. Let’s see whether the film reaches our expectations or not. Story:- As shown in the first part, Baahubali(Prabhas)is declared as the king of Mahishmati. As part of the kingdom’s ancestral ritual, the would-be king needs to visit the countryside to know what problems the people in his kingdom are facing. 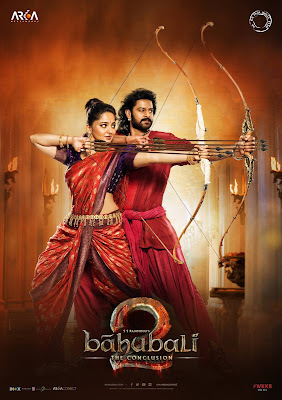 In this process, Baahubali visits a small kingdom called Kuntala and falls in love with its princess Devasena (Anushka). He woos Devasena with his charm and brings her to Mahishmati. But to his shock, Baahubali’s mother, Shivagami(Ramya Krishna) changes her decision suddenly and announces Bhallaladeva(Rana) as the king. Why did Shivagami suddenly announce Bhallaladeva as the king? What is the back story behind her decision? and why did Kattappa kill Baahubali? To know answers to these questions, you need to watch the film on the big screen. Plus Points:- There are way too many things that impress you in Baahubali 2 but it is practically impossible to pen all of them down in this review. Let me start by talking about the gigantic scale of the film. It is like a never before and never again kind of scenario as Baahubali 2 is huge in every aspect. Every visual of the film is filled with surprises either in terms of graphics or the extravagant sets that have been put up. The costumes, drama showcased and performances are a first of its kind in Telugu films. Credit should go to Rajamouli for taking Indian films to another level with his mind blowing story telling. The way he has induced a terrific conflict between the two brothers is the major asset of the film. 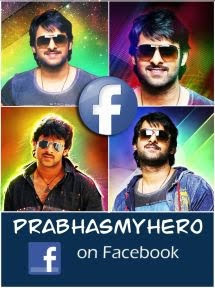 Prabhas unleashes his beastly side in the second part and takes away your senses with his striking performance. From the first scene, his screen presence is top notch and the way he takes Bhallaladeva head on is just terrific. A lot was said about Anushka’s weight but boy she looks top class in this film. Right from her traditional costumes to her mature look, she has pulled off both the roles with ease. She looks slim and quite beautiful throughout the film. Coming to Rana, it would not be exaggerating to say that Rana will never get such a magnanimous role in the future. What makes the film even more fiery and ghastly is his fabulous villainous avatar. No other actor apart from him could have played this role of a lifetime and Rana has done full justice to it. Nassar and Satyaraj are excellent in their roles and especially Nasser, is the major highlight among the supporting cast. Ramya Krishna showcases superb emotions and brings a lot of depth to the film. The family emotions are yet another highlight of the film as they elevate the proceedings with a lot of depth. The fist fight between Rana and Prabhas is a feast to the eye. Minus Points:- A number of audiences might get disappointed with the way Rajamouli has answered why Katappa killed Baahubali. Even though, the twist gels well with the script, it might not meet the expectations of many. Once the twist is revealed, the film becomes a bit predictable. The climax looks a bit rushed upon as things happen way too quickly. Tamanna is hardly seen in the film and only appears during the climax. There are certain areas in the film where pace gets slow and some unforced drama overtakes the proceedings. The romance between Prabhas and Anushka could have been edited out a bit to make things better. Technical Aspects:- Baahubali 2 is one of the most technically efficient films made in India. If part one surprised you with its scale, then second part will leave you speechless with excellent visual effects and emotions. The kingdoms shown and sets created look top notch on screen. The entire team of Makuta should be appreciated for taking the film to another level with their VFX work. What takes Baahubali to its peak is the stunning background score of M M Keeravani. Even though his songs are not that effective as the first part, the way he elevates the proceedings with his score is impressive. Dialogues are decent and so were the lyrics. Costumes done for every character looks top class. The weaponry created and props used look quite lethal. Coming to the director Rajamouli, he has surely done India and the film fraternity proud with Baahubali. He has dreamt of something out of the box and has also succeeded in bringing life to India’s biggest motion picture. The way he has continued the story in the second part and made the drama even more intense is superb. There is more depth in the proceedings and every character has been given complete justification. Every frame of Baahubali is his creation and you can’t but salute to the genius of this filmmaker who will be the next big thing in Indian cinema. At times, you just wonder how did he perceive all this in his mind and execute it in such a convincing manner. Technicians like him are rare and Telugu folks should be proud that our own director has gone ahead and proved that nothing is impossible. Verdict:- On the whole, Baahubali 2 is one film which leaves you speechless. Right from the word go, it has intense drama and action as every frame in the film is a visual wonder. Be it the heroic fights or the lavish war scenes, Rajamouli showcases some never before scenes in Indian film history.